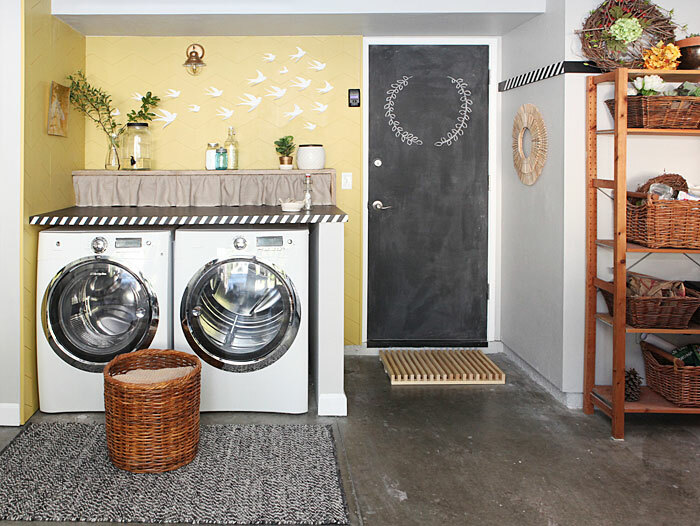 Shift Ctrl Art posted this lovely garage laundry room that is just to die for. I love the way paint brightens the space and helps the garage to feel like an extension of the home. The stained concrete floor is another awesome touch. We have been working hard to make our garage look cute. We have de-cluttered, painted walls, and added industrial shelves and cute bins. I am ready for a new garage door now, and maybe a mud room/space!